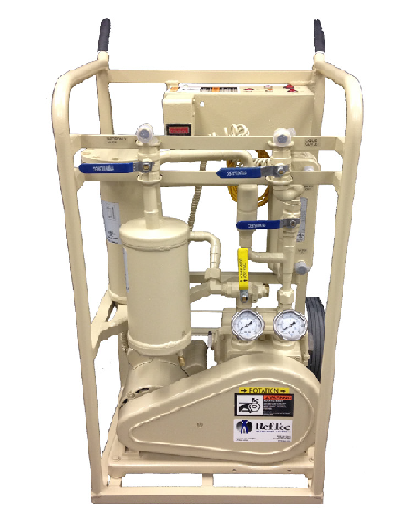 "We have experienced great results from the products we purchased from Reftec International, including the “Allvac” Recovery Unit and the “Minipurge” Portable Purge Unit! I have and will continue to refer others to Reftec. They offer a superior product, at a fair price, and back it with excellent customer support!" Twice the recovery capacity of typical oil-less recovery units. Universal recovery of low (R123) and high (R22) pressure refrigerants. 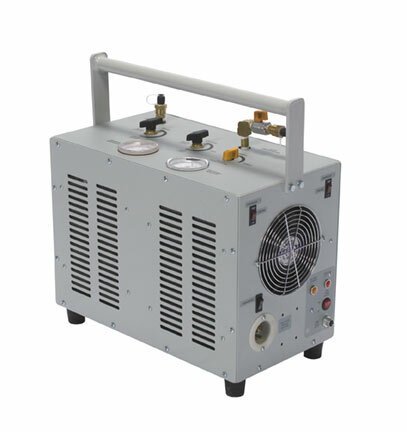 Dual 0.75-hp oil-less compressors. Services high pressure refrigerants. 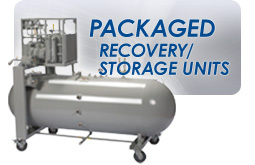 Twice the recovery capacity of typical oil-less recovery units.